A UW team has successfully connected two human brains over the Internet. The scientists involved in the research were able to send a brain signal through the Internet to control the way another researcher, seated in a separate area of campus, moved his hand. UW engineers have created a new wireless communication system that allows devices to interact with each other without relying on batteries or wires for power. The technique harvests energy from ubiquitous TV and cellular transmissions. For users of cochlear implants—technology that allows deaf and hard of hearing people to comprehend speech—hearing music remains extremely challenging. A team of UW researchers has developed a new way of processing the signals in cochlear implants to let users perceive differences between musical instruments, a significant improvement from what standard cochlear implants can offer. With her people-first perspective on technology, the HCDE assistant professor is at the forefront of an emerging idea: using relatively simple and common computing tools to improve human health. The goal: a high-efficiency, low-emissions cookstove that is affordable and attractive to families around the world who cook over a flame each day. UW mechanical engineers, with support from the U.S. Department of Energy, will pursue that by designing a stove for East African communities and creating software that helps other stove designers create efficient designs. An interdisciplinary team led by UW computer science and electrical engineering researchers has developed a programming language for chemistry that could ultimately guide the behavior of chemical-reaction mixtures in the same way that embedded electronic controllers guide cars, robots and other devices. 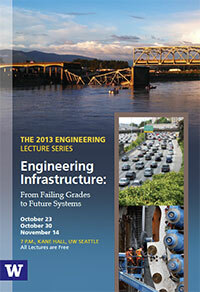 Attend the two remaining lectures in the College of Engineering's annual fall lecture series, presented in partnership with the UW Alumni Association. Free registration is required. 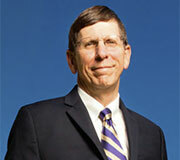 All of the lectures will air at a later date on UWTV. NIAC is a new collaborative center for advanced computing at the intersection of science, academia and industry. At NIAC Day, speakers from UW, Pacific Northwest National Laboratory, and industry discuss NIAC research and the long-term vision for the institute. There will be several breakout sessions to choose from. Free; registration required. The UW has seen steady growth in the number of women in engineering and science faculty positions since it received a national grant to help boost the numbers. The UW Center for Game Science got more than 4,000 Washington students to master linear equations this spring by playing a computer game for just a few hours. Sending astronauts to Mars aboard a superfast spacecraft powered by nuclear fusion may seem like a sci-fi dream, but it's entirely attainable, UW scientists say.